The duchess donned two pieces of jewelry: her diamond and pearl earrings, and her diamond RAF badge. 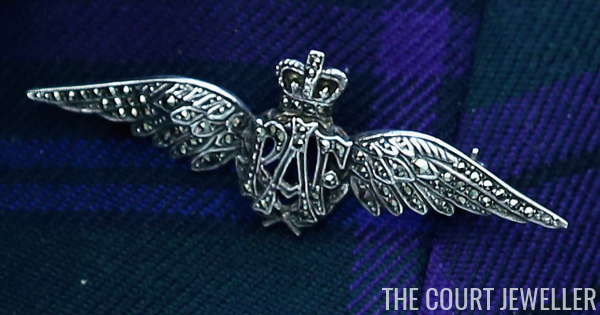 Chris Jackson provided us with an excellent close-up of the brooch, which features diamond wings flanking a laurel wreath topped with a crown and containing the RAF's initials. 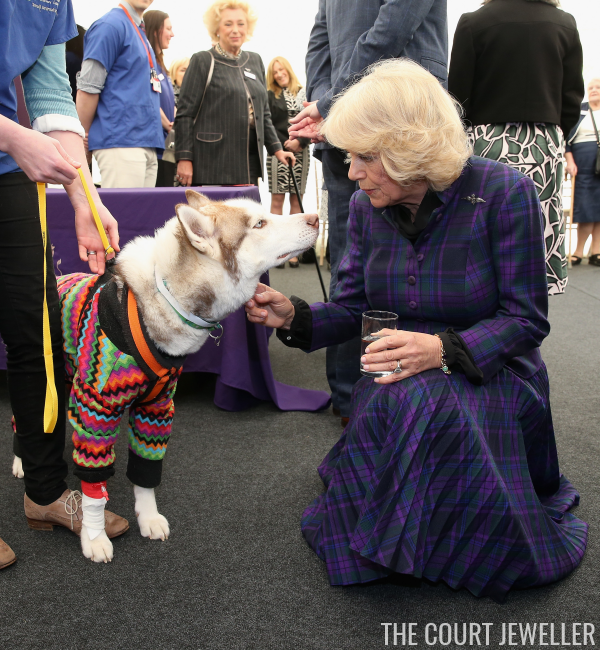 Animal-lover Camilla was totally in her element at the hospital, where she got to meet lovable patients like this dog, who showed off an impeccable taste in sweaters. But why the RAF badge for a visit to an animal hospital, you ask? 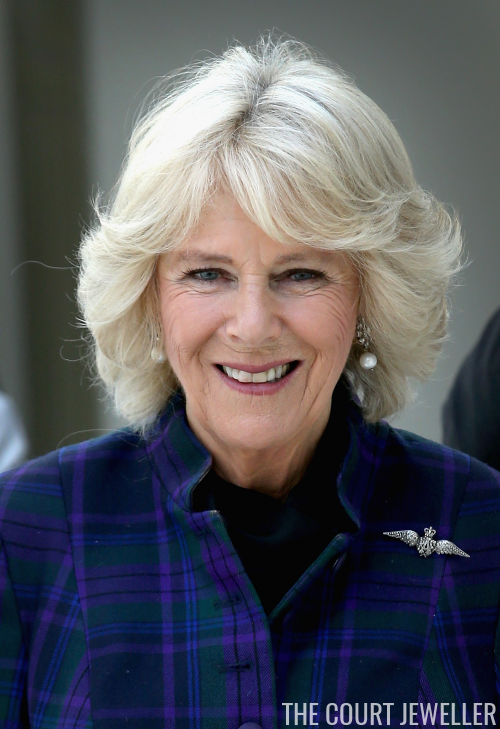 Simple -- after leaving the animal hospital, Camilla headed to visit RAF Halton, where she is an Honorary Air Commodore.